I'm not against a little shameless plug/self promotion.... I have to ask for a favor from you lovlies. 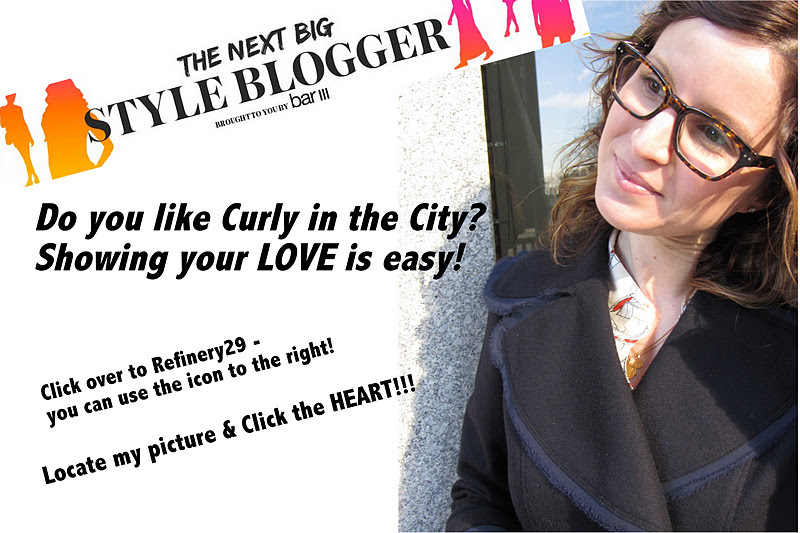 I have entered the Refinery29 Next Big Style Blogger Competition, and I'd love for your support & 'Hearts!" No obligations - I know I'm amongst some amazing ladies, although I'd truly love your vote! And if you want to help me, feel free to spread the word, tell your Mom and all your family to vote for me too! You (and all of your crew) can vote daily!!! Many thank you's to YOU in advance and as always for your amazing support! I'm excited to see how this competition unfolds! Yay! Best of luck to you, doll!